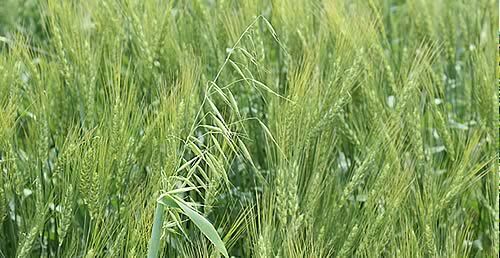 Growers should adopt an integrated approach to wild oat control this spring, with chemical and cultural control methods used in tandem to reduce the bank of unwanted seeds. That is the advice from David Roberts, Herbicide Technical Specialist for Adama, who explains that modern weed control protocols should look beyond the herbicide can for maximum efficacy. David therefore urges growers and agronomists to integrate the use of herbicides with non-chemical, cultural control methods. “Controlling wild oats is complicated by their protracted emergence window,” he explains. “While they can germinate in the autumn, the majority of seedlings will appear in the spring. This wide germination window, plus the ability of large wild oat seeds to propagate from depths of up to 15cm, means some cultural control methods such as delayed drilling, spring cropping and ploughing can be less effective against wild oats than they are against blackgrass.